If you have been given the task of creating drawings for an existing structure, we know how challenging that can be. 3D scanning can relieve you of this burden. Let’s face it, it is rare these days that buildings are simple in shape. Using a laser tape (or even worse, a good old-fashioned tape measure) is just too difficult, and then you have to translate those notes into drawings and trust that no mistakes were made or features missed. 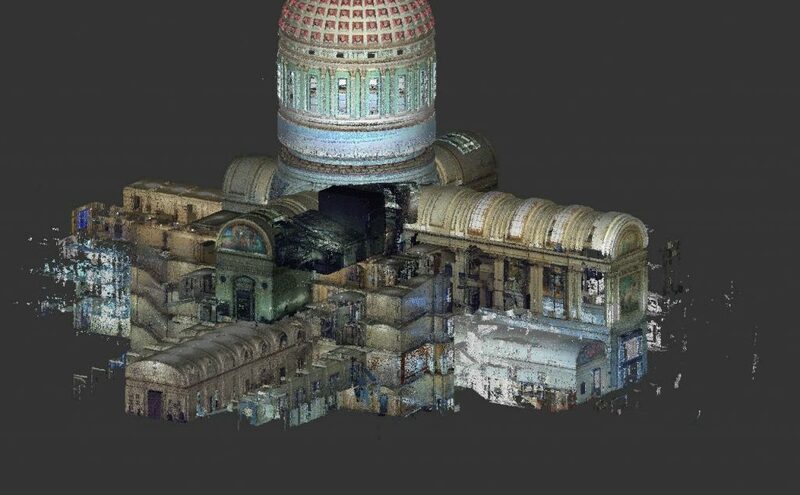 Consider the alternative: 3D laser scanning. A long range 3D scanner can capture an entire room in minutes with the push of a button. With each scan, it saves a color point cloud that is accurate to 1/8″ or better (usually better). With enough scans, you can capture an entire house before the day is done. So you have decided to scan your property. Great! now, what can you do with a 3d scan? Below is a list of things that can be done with a 3D scan taken of your home, building or structure. When planning a project, you need drawings for engineering and sharing with colleagues, customers and other stakeholders. Though a process called “scan-to-BIM” we can obtain CAD drawings from the 3D scan. The CAD drawings can be in AutoCAD DWG or Revit formats. An ortho-photo could be called a poor man’s CAD drawing because once the scan is done, they take very little effort to create. Yet, they retain all of the accuracy of the scan and can be imported into CAD programs such as AutoCAD for use as a background. They are dimensionally accurate and based on the raw scan data, so you can rely on them as an as-built reference. Similar to ortho-photos, these are slices taken from the point clouds that can be taken anywhere and provide a cheap opportunity to gain insight into a structure’s shape. 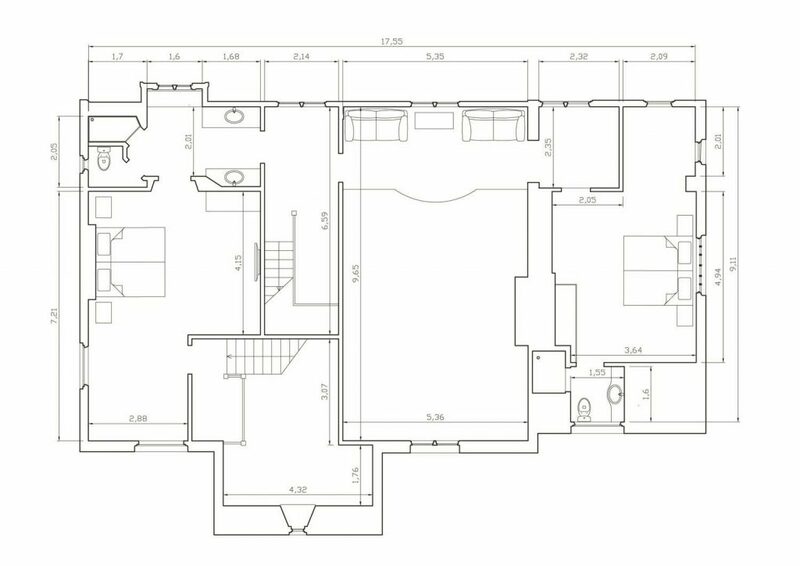 Elevations, floorplans and any desired location can be obtained quickly and easily. We can even enhance the lines, giving them clearer definition and making them usable for a variety of purposes, all without having someone spend hours drawing in CAD. Beautiful full-color Images can be generated for presentation purposes or to add impact to a proposal. The 3d laser scanner uses its on-board camera to capture color, making these images realistic and at times stunning. Animations and videos can also be created, such as fly-through or orbit videos. It is even possible to create 3D virtual reality experiences. We look forward to helping you create an engaging presentation. BIM – what is it, exactly? Building Information Modeling has become the standard operating procedure for construction projects. 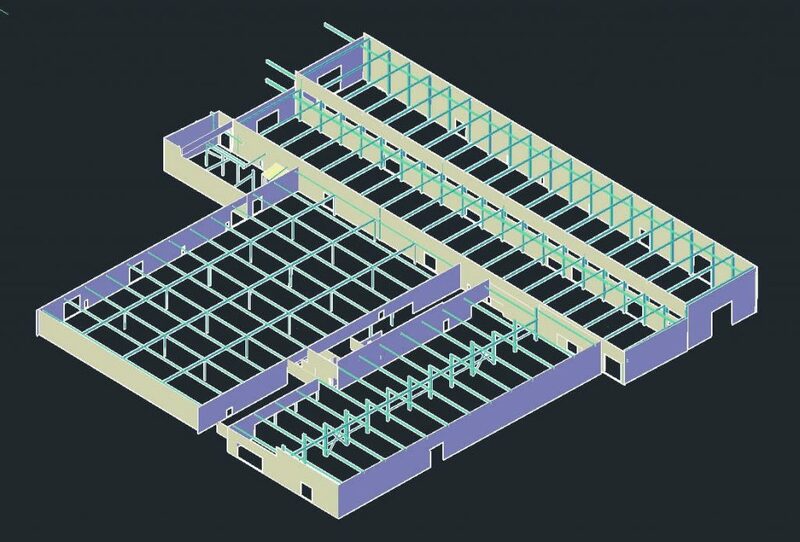 When renovating existing buildings for which no drawings exist, it is necessary to first collect existing conditions to implement the building information modelling in a modern CAD program. Our 3D building scanning services can collecting these existing conditions. The term BIM building information modeling is often associated with the use of Autodesk Revit and Navisworks. 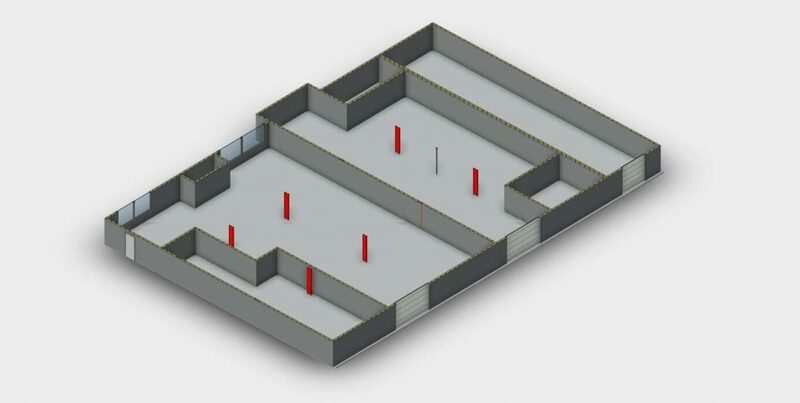 We can incorporate 3D building scanning services into the BIM process. The 3D scan can be used to create an as-built model, in Revit or generic DWG AutoCAD format.